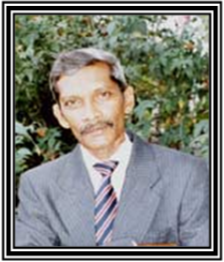 Harischandra Khemraj was born in Guyana in 1944 and grew up on a sugar estate on the West Bank of Demerara, Guyana (formerly British Guiana) where his parents were both sugar workers. He attended school in Guyana and a university in America. He has worked as a payroll clerk, civil servant, bank statistician, a short order cook, a librarian, a telephone operator and a teacher. During the 1980s, he supported the desire of the villagers of Uitvlugt and environs to read by running a paperback library at a time when books were almost impossible to obtain in Guyana. He wrote for some years but submitted nothing for publication until completing the manuscript of Cosmic Dance, which was passed on by Heinemann Caribbean to Peepal Tree Press on the grounds that it was too adult for their list. Cosmic Dance won the Prize for fiction in the 1994 Guyana Prize for Literature.